This post is written by Candice Faktor, Head of Business at Wattpad. Storytelling is universal and can transcend language, race, gender and socioeconomic barriers. Humans have exchanged stories long before the formation of written language or the invention of the book. They are integral to who we are, how we express ourselves, as well as our collective experience of life and our relation to each other. Stories are Human Stories are something that we can all relate to. Brands need to move away from hard sells and towards emotional connections. The humanization of your brand through storytelling is what provides people with an experience and an emotion to attach to. Without a story there is no element of human touch, no emotional impact, and nothing to relate to. Stories are inherently human and should be a big part of your brand expression. Stories Shape Opinion Stories have a lasting impact on people and help shape their opinions of the world around them. People’s opinions of brands change significantly when they hear about social good, recall a memorable campaign with a great story, or when a peer shares a positive story about their own experience with a brand. The stories shared about your brand (both by you and others) have a strong impact on how you are perceived in the world. Brand affinity is what drives influence, loyalty, and sales. You don’t just want them to know about you. You want them to love you. Stories Stay With You Great stories are powerful and stay with you. The more relatable they are, the more likely they are to have significant impact. Stories provide the opportunity to create emotional impact in a meaningful way, and they are the culmination of creativity, experience, and emotion. You remember great stories long after they’ve been told. They stay with you. This is why stories are excellent at driving brand affinity and awareness. People love stories. We are living in the post-traditional-advertising era. People don’t have time or patience for obtrusive advertising anymore. They want to be inspired, engaged, and moved by great stories and by content that is entertaining, meaningful, and fun! There is a way to do this gracefully, because Stories grow your brand. To engage teens on Valentine’s Day, Sour Patch Kids created a campaign with Wattpad where Sour then Sweet Love stories were first created by popular Wattpad authors. 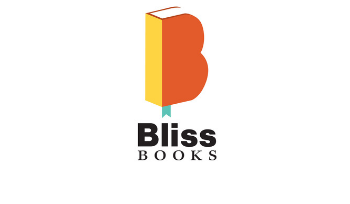 A consumer contest to submit more original stories followed. By having the Sour then Sweet narrative come through the voice of active community writers, the brand came off as more authentic and garnered high engagement and response from consumers. In a few short weeks, more than 3MM minutes were spent engaging with the brand on the platform and the stories were read over 800K times. 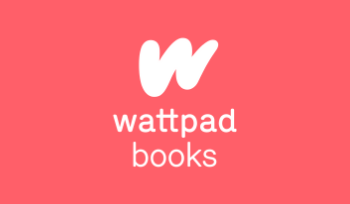 Wattpad works with with leading brands to create entertainment that connects and inspires our growing community of over 40 million people.